Learning to code is a valuable career resource no matter what your profession. Being able to automate daily tasks can be a time- and resource-saver whether you’re in marketing, finance, sales, or operations. If you’re thinking of becoming a software developer, coding is even more essential: it’s your job! 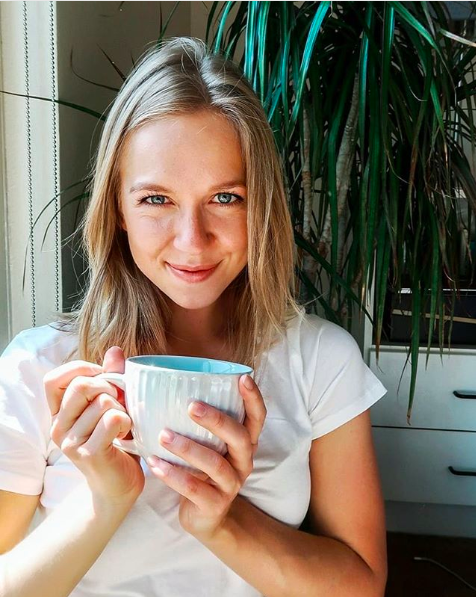 We partnered with Masha, the blonde from Coding Blonde – whose mission is to introduce women to the different areas and dimensions of tech and help them find the right resources for them to learn more about it and to start their career in the industry – to get her perspective on making the transition to tech. Here’s her advice – and why Python is a great skill to have in your back pocket. There’s a clear trend of people changing careers and transitioning into the tech industry. And there’s a huge demand for talent in this area, which is growing every year. According to the U.S. Bureau of Labor Statistics, by 2026 we will see 557,100 new jobs in tech. And the demand for female candidates is growing even faster as companies are becoming more aware of the clear bottom-line benefits that diversity brings. So yes, if you are thinking about making the transition, now is the best time. How does one approach this process though? First of all, and most importantly, ask yourself: what are you interested in doing? There are so many opportunities and different jobs out there. Do you want to analyse data, build websites, create web or mobile applications, deal with networks or servers, or go into something as exciting as AI? Think about what technology are you most passionate about and do some research by reading blogs and following opinion leaders. Now that you know what field you’d like to go into, understanding what skills you need is very important. Start with researching what people do in that role, maybe go to some meetups and meet people who already do what you’d like to do! Or go to online forums and groups and don’t be shy, ask questions! Your job here is to understand what skills you might need for this job. And of course, look for job descriptions because those are likely to list some of the skills required. I personally love Python because it’s one of the most versatile languages out there. It opens up a lot of opportunities and makes it easier for you to be flexible in what technology you’re working on. It’s time to learn the skills! Find the right coding courses for you to learn what you need for your dream job. Always think about what learning method will help you learn and practice the most – be honest with yourself about your learning style. If it’s a career transition, consider investing in a comprehensive course because those tend to be more efficient, have more structure and provide career support. Use any opportunity to work on some projects that showcase your skills in the field. In this wonderful and constantly evolving world, experience speaks louder than any words or any fancy degree. Focus on building a portfolio that will make potential employers want to hire you – that might mean doing some free client projects, imaginary projects, or freelance gigs. Creating a portfolio nowadays couldn’t be easier. Build one yourself on a self-hosted website, or you can use services like Squarespace or Wix. Other great places where you can showcase your skill set and build your online brand are Medium and Github, so you can be strategic about growing your online presence. Remember to link to your work in your LinkedIn profile so recruiters and hiring managers can see your portfolio. Even if most things are done digitally nowadays, talking to people at different companies not only will help you understand where you’d like to work, but also might help you get those positions. A lot of tech companies have referral programs and if you’re hired because of an employee’s recommendation, that employee is likely to get a bonus. So make sure to work on those connections and get your foot through that door! All in all, changing your career is a long process, but not an impossible one. Many people have already done it and there are many wonderful resources to help you and support you. Take the first step and enjoy this awesome roller coaster that we call tech! I want to thank Hackbright Academy for supporting this post and for providing women with such awesome support when it comes to changing careers. If you guys are interested in their programs, follow this link! This post was originally published on Coding Blonde, it has been abridged for Hackbright Academy. Find the full article, more resources for women in tech, and watch the Coding Blonde on her website.